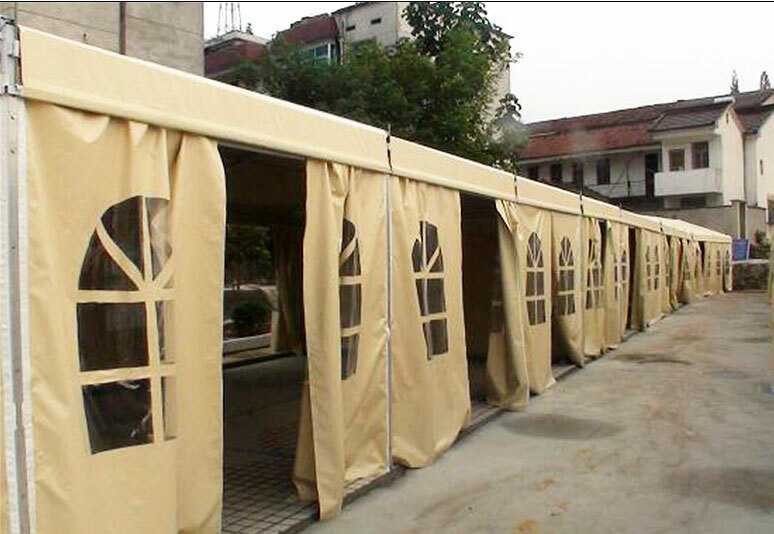 Shanghai Ruikai tent manufacture Co., Ltd. is famous China Steel aluminum tents Factory and Custom Steel aluminum tents Company, founded in 2008, mainly engaged in designing, producing, saleing and servicing after saled of high quality aluminum PVC tents (tents),steel aluminum tents, relief tents, globular tents and special tents. The products are mainly exported to Europe, America, Australia the Middle East and Southeast Asia. It is located in the Yang Wang Industrial Park in Fengxian District, Shanghai. At the end of 2017,in a new national industrial park, Nantong Tongzhou Bay Coastal Park, we are using about RMB20,000,000.OO for expanding a new factory area about 10,000.00sqm .we will have nearly 100 employees and many leading automatic production equipment, annual production capacity of the tent will be nearly five hundred thousand square meters, and will become a new star in the domestic Steel aluminum tents production area.